Preheat oven to 350 degrees. In a large bowl, combine flour, baking soda, cinnamon, and ginger. In a small bowl stir together the oil, molasses and water. Add the molasses mixture to the flour mixture and stir until you have a soft dough. On a lightly floured surface, roll the dough out about 1/4 inch thick. 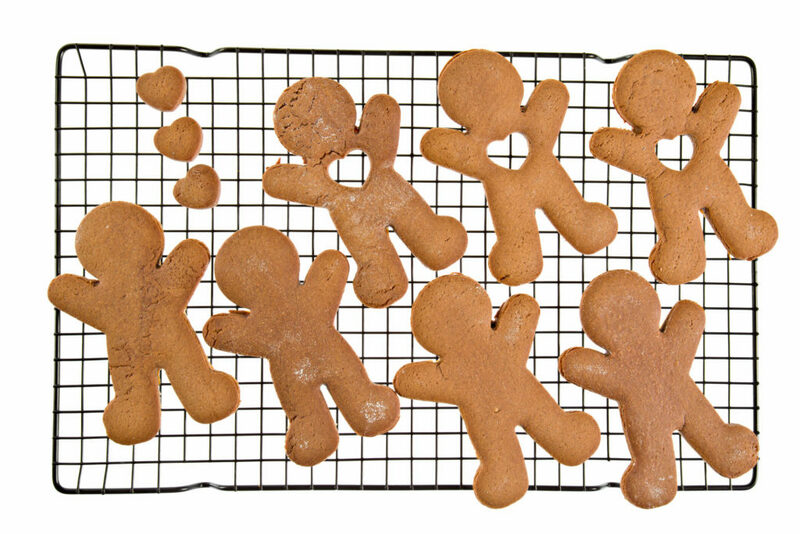 Cut into gingerbread men or any other shape you like with a cookie cutter, a glass rim or a knife. Transfer the cookies to a non-greased baking pan. Bake for 20 to 25 minutes or until firm. Makes about 30 cookies depending on size. Store cooled cookies in a tightly sealed container. Want more treat recipes for your pet? Check out our Great Gravy Cookies and Dogsicles Recipe.